Envelopes_with_Foil_Lining is rated 4.6 out of 5 by 36. Rated 5 out of 5 by EchoGurl from Great envelopes - as expected! Bought these for wedding invitations and they were quick to ship, and were exactly as I expected. Rated 1 out of 5 by Linw from Foil Lined Envelopes in bad shape Many of the envelopes were bent. There were two different kinds of paper for the envelopes. Some of the envelopes were a bright white paper and some of the envelopes were a yellowish white. The foil inside of most of the envelopes was peeling off. Rated 5 out of 5 by Kirk from Great Envelopes Great purchase, Great price, Product arrived in reasonable time and as advertised. Are these envelopes fully lined or only lined in the flap area? Hello! These envelopes are only lined in the flap area. Thanks for the question! Length comes first (5 3/4), width is second (8 3/4). 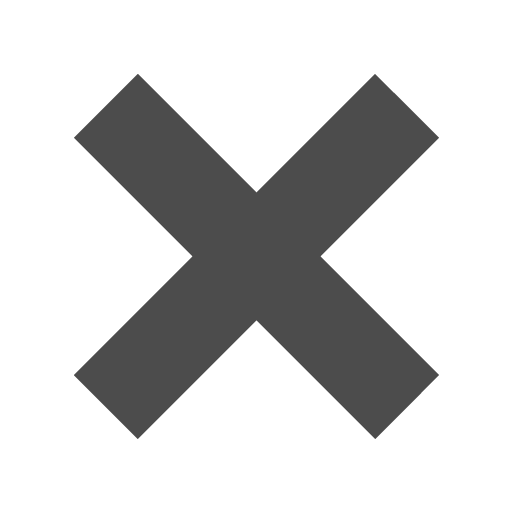 I am looking for an envelope 6 3/4 x 6 3/4 or 7x7 Natural White with or without black. Can a return address be printed on this envelope? Hello, Unfortunately we do not do any printing on these envelopes. Thanks! Open! Sesame! You’ll be just like Ali Baba in Arabian Nights once you open one of these envelopes. As the flap starts to open, that grand music will start and you'll be seeing treasure right before your eyes. Gold, Silver, Rubies, even Emeralds will be all around you. This envelope is basically the opposite of a mirage. You won't think it's real at first but once you look closer you'll be shocked to find that this shiny and elegant lining is totally legitimate! Those deserts can get you down, but once you find one of these envelopes in the midst of all that sand, you will definitely be saved! No canteen needed. The best part is that these envelopes come in neutral colors, so once you say those two magic words (open sesame) you will be shocked to find what’s buried inside. And who doesn’t like great surprises like that? 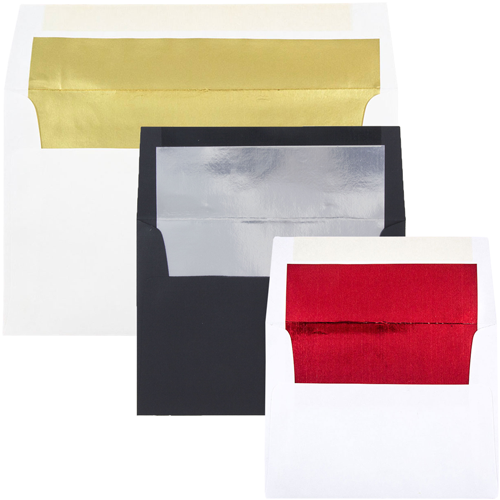 Envelopes with Foil Lining are available with Gold Lining, Red Lining, Silver Lining, and Green Lining. Other color linings may also be available depending on the size!